As seen on BuzzFeed…These are the things my childhood dreams are made of. 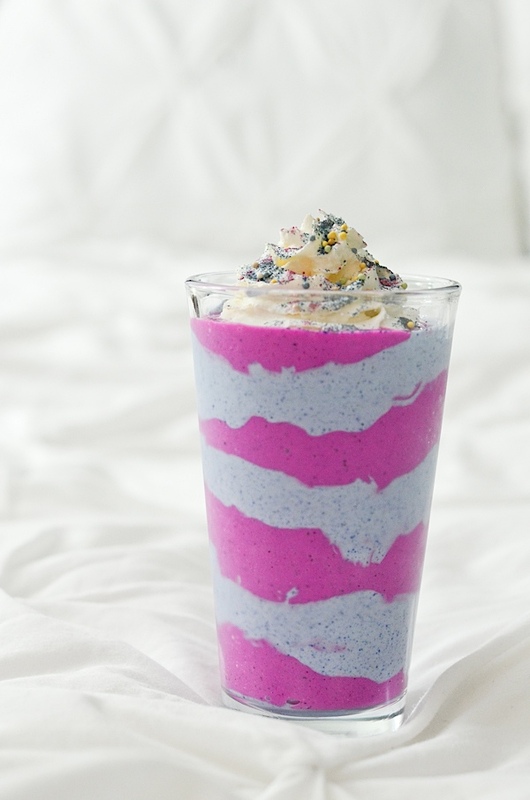 I present…a Healthy Unicorn Smoothie Recipe. Yea, I went there. This was inspired by the recent release of the now famous Starbucks Unicorn Frappuccino. Nothing against the Starbucks version, but you guys know I like to make healthy versions of things. I haven’t actually tasted the Starbucks Unicorn Frappuccino, but I’m 99% sure this won’t taste anything like it. I’ve heard it has mango syrup and some sort of sour syrup that makes the drink change flavors. The ingredients in mine are pretty light in flavor. I’d say it tastes like a banana-yogurt smoothie. Possibly the only thing that drink and my version have in common is the use of colors. Love Unicorn Recipes? Try this Healthy Unicorn Smoothie Bowl Recipe (click) variation for another way to get magical. Note: This post contains affiliate links. If you make a purchase from these links, I’ll make a small commission at no charge to you. I personally use and love the items in this post. Please feel free to reach out if you have any questions. Happy to chat! 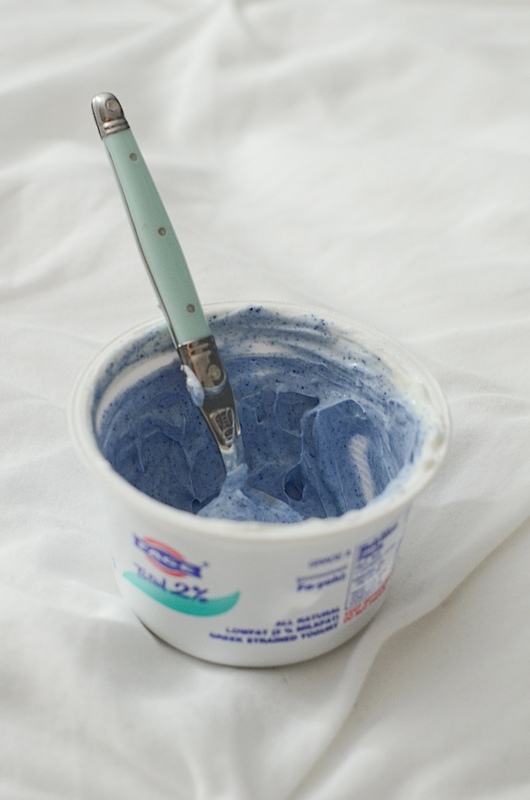 In your blender container, place 1/2 of the Greek yogurt. Set aside – we’ll finish the smoothie later. I love using the Nutri Ninja. The Nutri Ninja Professional is what I have. I first discovered it at a blog conference. I was impressed with the demo the Ninja team did and planned to purchase it when I got home. But before I could buy it, the team reached out to offer me the blender to test. 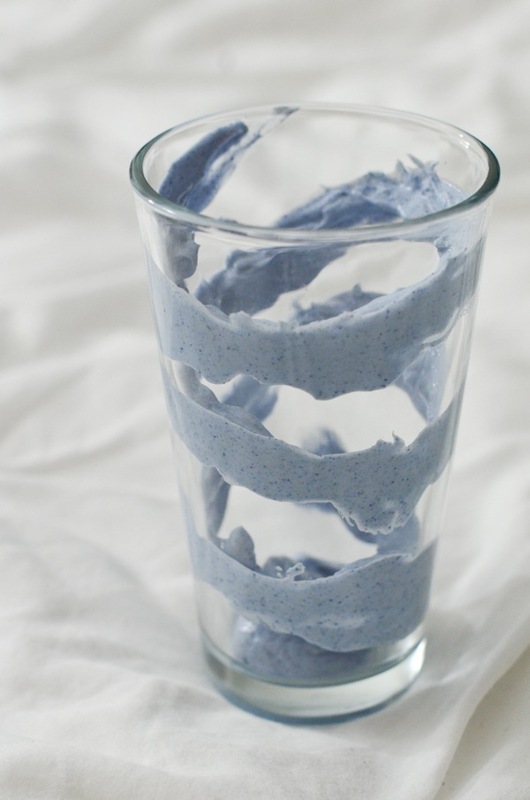 Free blender that I was already planning to buy? Yes, please! Anywho, I find this blender really easy to use and clean. Plus, it’s better to keep in my smaller space as I continue working in NYC. And I think the price is really reasonable. 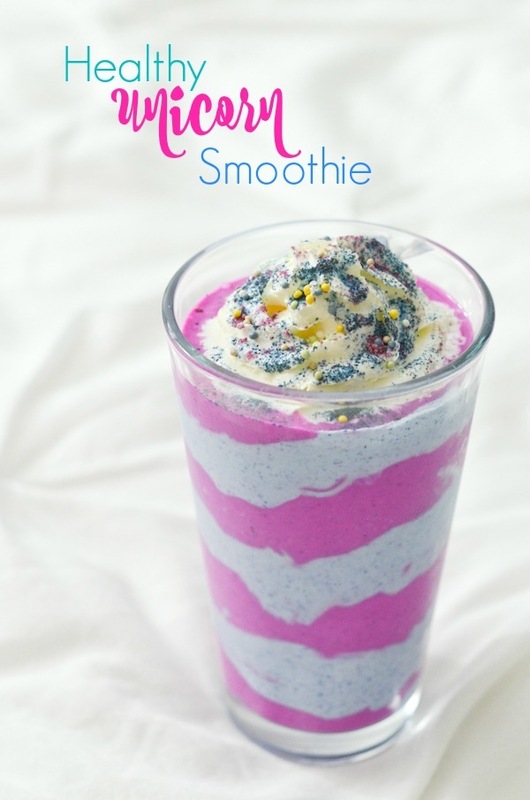 And be sure to check out this Unicorn Smoothie Bowl Recipe here! 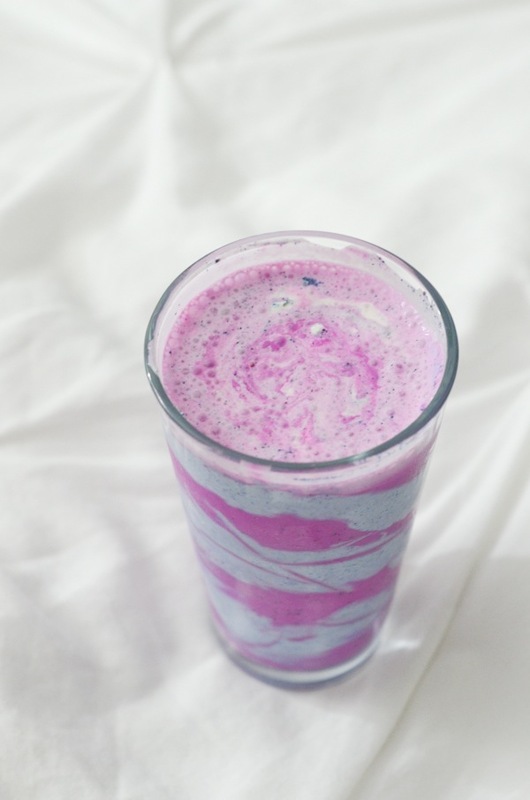 Here’s a yummy, Healthy Unicorn Latte. 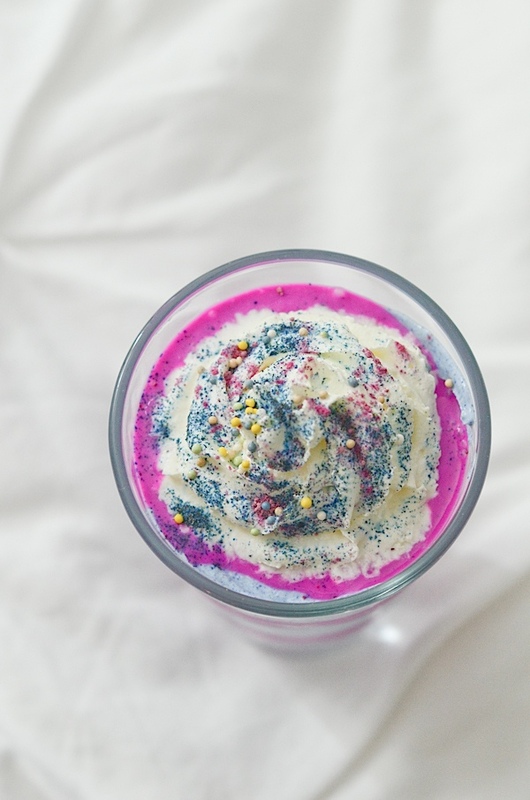 This recipe was featured in this BuzzFeed article for 16 Magical Unicorn Recipes to Make This Weekend – yay!